The Best Loan Blogs from thousands of Loan blogs on the web using search and social metrics. Subscribe to these websites because they are actively working to educate, inspire, and empower their readers with frequent updates and high-quality information. 2.9 SoFi | Student Loan Consolidation and Refinancing. 2.22 Cornerstone Blog | Cornerstone Home Lending, Inc.
Loan newsletter is a comprehensive summary of the day's most important blog posts and news articles from the best Loan websites on the web, and delivered to your email inbox each morning. To subscribe, simply provide us with your email address. New York About Blog Biz2Credit is an all in one financing solution for entrepreneurs to get a small business loan with fast approval process. Explore various small business financing options with us. Facebook fans 27,234. Twitter followers 10,701. About Blog The Mortgage Reports covers mortgage rates, mortgage news, mortgage strategy, and real estate. Facebook fans 30,926. Twitter followers 14,461. Dallas, TX About Blog Compare Loan Offers Instantly with our network of Lenders. FHA Loans, VA Loans, Bad Credit Home Loans. Get matched with mortgage companies instantly. Facebook fans 2,345. Twitter followers 1,009. Los Angeles, CA About Blog The Truth About Mortgage.com is a mortgage blog chock full of advice, tips, a mortgage dictionary to help you better understand key terms, and the latest mortgage news. Facebook fans 679. Twitter followers 744. Cheshire,UK About Blog Buddy Loans is a UK based fast friendly and flexible loan lender. At Buddy Loans they grant loans based on your ability to repay the loan, and the fact that your good Buddy (guarantor), also feels you can and will repay the loan. 9. SoFi | Student Loan Consolidation and Refinancing. Mumbai, India About Blog Indiabulls Dhani offers instant personal loans for marriage, travel, business expansion, medical emergency and more. This blog is a complete guide to understanding Dhani and personal loans. Facebook fans 217,697. Twitter followers 412. New Delhi, India About Blog MyMoneyMantra provides various loan deals to customers across various financial products. These include Home Loans, Personal Loans, Loans Against Property, Business Loans and Credit Cards. Facebook fans 138,328. Twitter followers 3,763. Hyderabad, Andhra Pradesh About Blog Loanyantra Blog is a path for organic loans. This is an online marketplace that gives instant customised rate quotes on loans products and solution for all loans. Facebook fans 26,397. Twitter followers 423. Ahmedabad City, India About Blog Find updates for all kind of loans and Finance Essentials related queries like business loan, sme loan, working capital loan on the Lendingkart blog. Lendingkart is one stop blog guide to improve your financial knowledge. Facebook fans 303,203. Twitter followers 671. India About Blog Indiabulls Housing Finance Blog is a complete guide of all financial services related to Home Loans & Mortgage Loans. IBHFL is a Housing Finance Company regulated by the National Housing Bank. Facebook fans 819,551. Twitter followers 100,778. South Jordan, UT About Blog Welcome to Lendio! It is a free & simple way to see all your loan options and find the best rate. They aim at helping small business owners get loans that back up their ambition so they can be more than just entrepreneurs. Facebook fans 37,804. Twitter followers 11,257. New York About Blog National Mortgage News, a SourceMedia brand, serves the entire mortgage industry including mortgage bankers, commercial bankers, savings institutions, brokerage firms, insurance companies, government enterprises and more. Facebook fans 13,182. Twitter followers 43,248. Bangalore About Blog Finance Buddha is an online marketplace where you can go and Compare Online different Loan Offers from the top banks in India and Apply Online for the offer that best suits your requirements. Facebook fans 1,512. Twitter followers 117. Mumbai About Blog Apnapaisa is India based online marketplace for loans and investment products. Not only this they also undertake Financial Planning for their clients. Facebook fans 18,451. Twitter followers 468. Colorado About Blog Mortgage Professional America mag delivers daily real estate & mortgage industry news for real estate agents, mortgage brokers, realtors & loan officers. Facebook fans 22,516. Twitter followers 40,659. 22. Cornerstone Blog | Cornerstone Home Lending, Inc.
Texas About Blog Cornerstone Home Lending, Inc. is a mortgage banker. With in-house processing, underwriting and funding, Cornerstone’s Mortgage professionals are committed to delivering on-time closings and streamlined, satisfying-home-financing experiences. Facebook fans 7,002. Twitter followers n/a. Fort Area, Mumbai About Blog FlexiLoans is a technology based financing platform with an endeavour to solve the problem that SMEs face in accessing Quick, Flexible and Adequate funds. It features Knowledge zone for small business loans in India, tips to grow your business, manage business risks & more. Cebu CIty, Cebu About Blog Loansolutions provides loans via our network of partner banks and lending companies. We simply connect you, as credit-worthy borrowers, to low interest lenders through our pre-qualification process. We are not a lending company; instead we serve as a bridge between you and financing companies. Facebook fans 77,563. Twitter followers 392. Mumbai About Blog SwitchMe is an end-to-end service that helps people take a home loan or transfer their Home Loan. SwitchMe has been conceptualized by a team of visionary professionals committed to the cause of consumer empowerment. Facebook fans 4,012. Twitter followers 296. United States About Blog The idea behind Bonsai Finance is to help individuals with the need of a personal loan. Get advice for improving your financial situation and learn how personal loans can help you! . Facebook fans 271. Twitter followers 13. London, England About Blog Mortgage Strategy is all about news and insight for mortgage specialists. Follow us to keep up with the latest updates. Facebook fans n/a. Twitter followers 15,576. New Delhi, India About Blog Ziploan is a business loans blog. They help businesses and individuals in getting short-term collateral free loans in a simple and efficient manner. Facebook fans 16,120. Twitter followers 144. Facebook fans 320. Twitter followers 807. South Africa About Blog Welcome to LittleLoans Blog. It is a South Africa based finance blog, with the articles on all things finance from investing, credit, debt, insurance and saving. Facebook fans 1,714. Twitter followers 3. Portland, OR About Blog BNTouch Mortgage CRM is a marketing, sales management and partnership building solution for mortgage offices of any size. BNTouch Mortgage CRM blog will help you get information regarding various marketing solutions and new features of BNTouch! Facebook fans 3,224. Twitter followers 196. Kalkaji, New Delhi, India About Blog LoanMoney is a knowledge centre for loans and banks and is dedicated to provide information about which bank/NBFC to prefer if you need money. Facebook fans 748. Twitter followers 28. Baltimore, MD About Blog Mortgage blog depicts ways to manage loans & credit scores, as well as the top news in the mortgage lender industry. They develop, review and explain a variety of loan options with an individualized approach. Facebook fans 610. Twitter followers 158. Wine Country About Blog Rachel Dollar, the editor of Mortgage Fraud Blog is a California attorney and Certified Mortgage Banker who handles litigation for mortgage lenders, servicers and financial institutions. Mission is to raise awareness about the significant issues caused by mortgage fraud. Facebook fans 608. Twitter followers 1,092. St Louis, MO About Blog Cornerstone Mortgage, Inc. provides an innovative mix of mortgage products. Its mission is to make our customers feel at home with the home loan process! Facebook fans 4,377. Twitter followers 788. London, England About Blog British Lenders UK is the reliable, innovative and qualified online lending company engaged in offering the best value offers and competitive loans. We are the premium loan lenders in the UK, where you will come across quick loans and tithed too without any upfront fee. Facebook fans 109. Twitter followers 38. About Blog The Loan Officer Hub is designed to be an all-inclusive resource. You’ll find loan officer resources, strategies and more. Our loan officer blog is a one-stop-shop mortgage blog for loan officers who are interested in increasing their knowledge of the mortgage industry. About Blog RV Loan Providers believes that transparency strengthens the trust between business partners. If companies have a good picture of the opportunities that exist and the risks they run, cooperation arises, deals are closed and ideas become reality. Gurgaon, India About Blog PinCap is an RBI registered NBFC providing Business Loans, Bill Discounting facility and innovative and customizable financial solutions to businesses. Facebook fans 1,065. Twitter followers 643. About Blog At Homespire Mortgage, their mission is to open the doors to homeownership by simplifying the mortgage process and provide affordable mortgage solutions. Facebook fans 10,828. Twitter followers n/a. About Blog CM financials provides with financial adviser, lease brokerage, consultant & mandate, bank instruments, funding and loans. To know more on these. follow us. 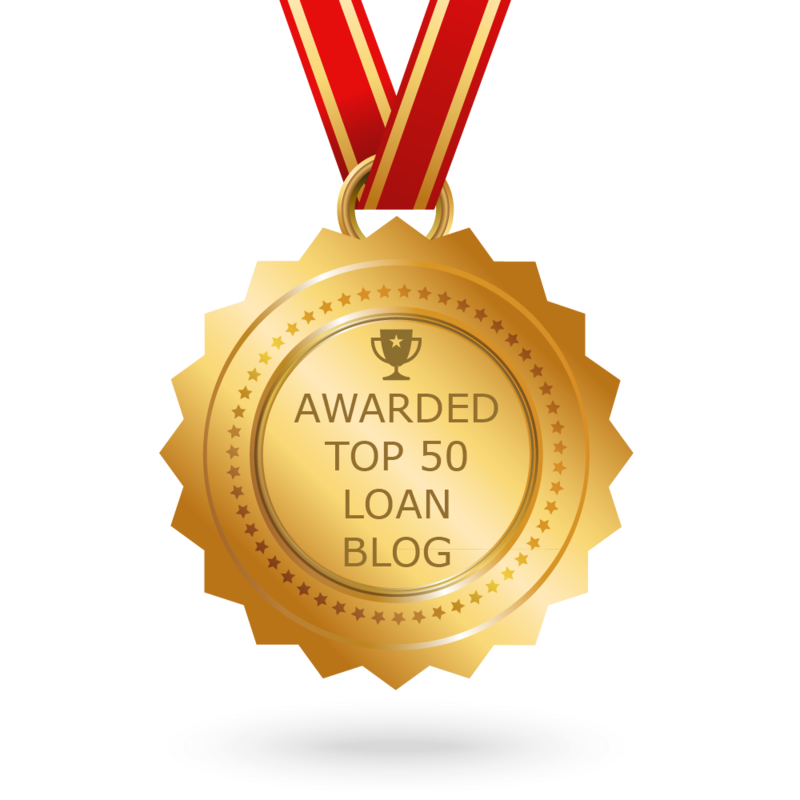 CONGRATULATIONS to every blogger that has made this Top Loan Blogs list! This is the most comprehensive list of best Loan blogs on the internet and I’m honoured to have you as part of this! I personally give you a high-five and want to thank you for your contribution to this world.